The planned city of Putrajaya, Malaysia’s administrative capital which was conceived in the late 1990’s, is named after the country’s founding father, the first prime minister of Malaysia, Tunku Abdul Rahman Putra Al-Haj. The addition of the suffix ‘jaya’ which means ‘success’ to the moniker was done to indicate that this planned city would indeed grow to become a grand success. Located at a distance of 25 km, south west of Kuala Lumpur, Putrajaya whose creation has until now cost a US$8.1 billion city, is still a work in motion as parts of the city according to the original plan are still under construction. 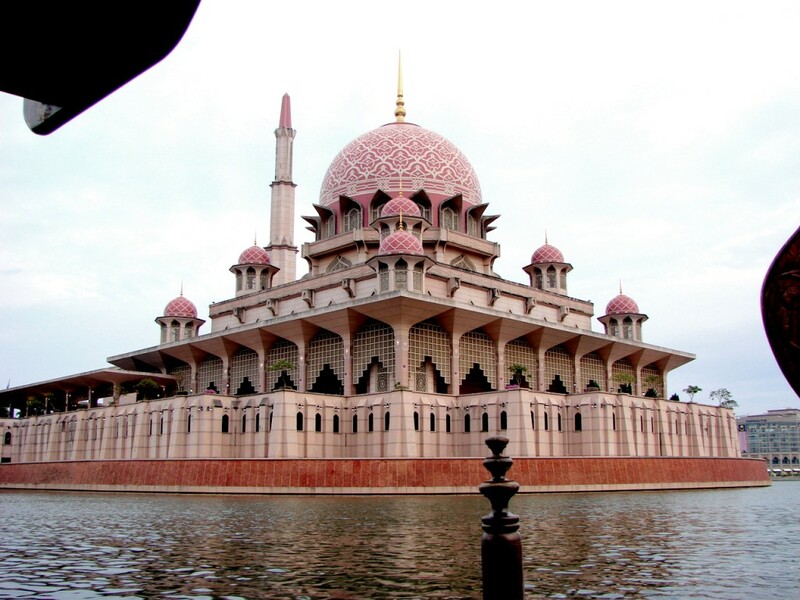 The main founding principles behind the establishment of Putrajaya, included the creation of an ideal city where stylish, avant-garde buildings would co-exist with large open, green spaces, where fiber-optic networks would run seamlessly along mosques and minarets as the three main ideologies of life social, spiritual and natural would come together to create a harmonious environment to live, work and play. The result of all these efforts and ideas, have produced a city which is certainly pretty to look at it outfitted as it is with wide boulevards, vast acres of parks and other green spaces and a central, 650 hectare wide, man-made sparkling lake whose tributaries extend into the city’s wetland zones and are crisscrossed by stunning bridges, beautifully lit up at night. Putrajaya already has several of its many planned attractions in place and if you are on a visit to Malaysia, you should perhaps pencil in a visit to Putrajaya, to get a look at this meticulously planned city that is changing the face of Malaysia. Parks and green spaces adorned with numerous trees, plants and shrubs make up as much as 40% of Putrajaya, while rendering it a heaven for naturalists. Outstanding urban parks located here include the Putrajaya Botanical Garden, the Wetlands Park, the Taman Wawasan, the Agriculture Heritage Park and the Putra Perdana Park. Putrajaya’s many splendid bridges like the Putra Bridge, the Seri Perdana Bridge, the Seri Gemilang Bridge and the Seri Bakti Bridge enhance the style quotient in the city especially at nighttime, when they are illuminated with the help of many colorful lights. Putrajaya is the center of power in Malaysia and thus is home to large, well-designed government complexes like Perdana Putra (the Prime Minister’s Office), the Perdana square and the Seri Perdana Complex (the prime minister’s residence). This enormous convention center which is believed to have been modeled on a royal belt buckle is part of the plan to make Putrajaya, an important center for business and trade in the future. Fashioned on the Washington monument, the Millennium Monument (Monumen Alaf Baru) which is contained within a leafy park rises to height of 68m as it pays homage to Malaysia’s rich past history.